Start logging in Google Marketplace here. 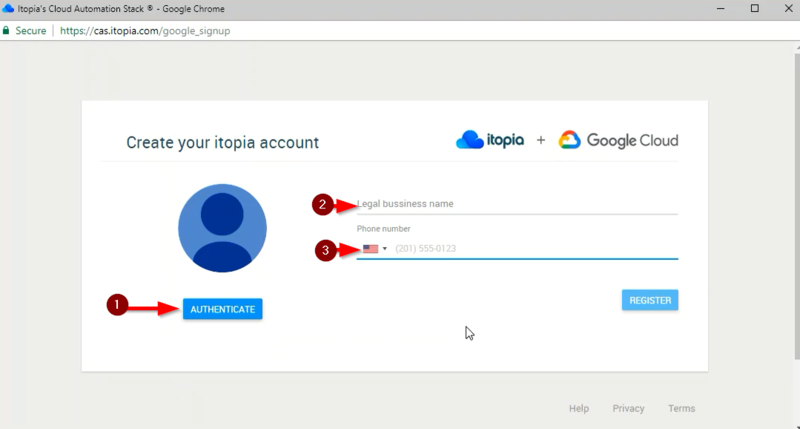 If the system doesn't log you in automatically, sign in using your Google account. 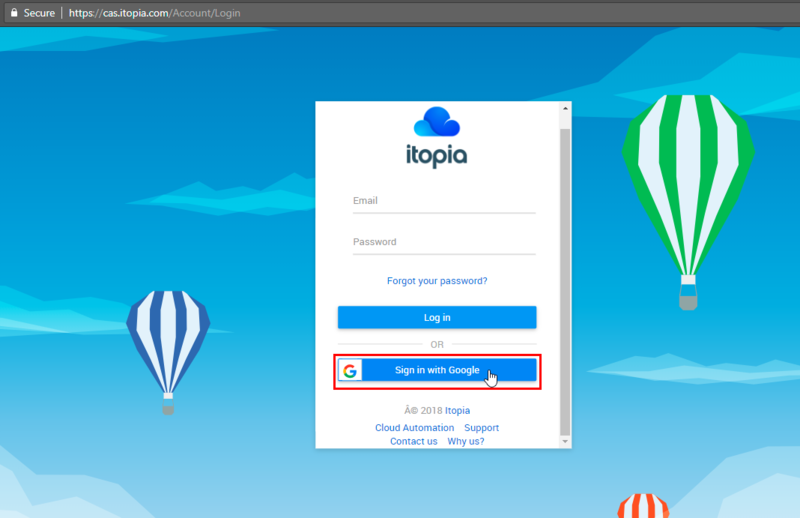 Once you sign in, check if you are signed up for Google Cloud. 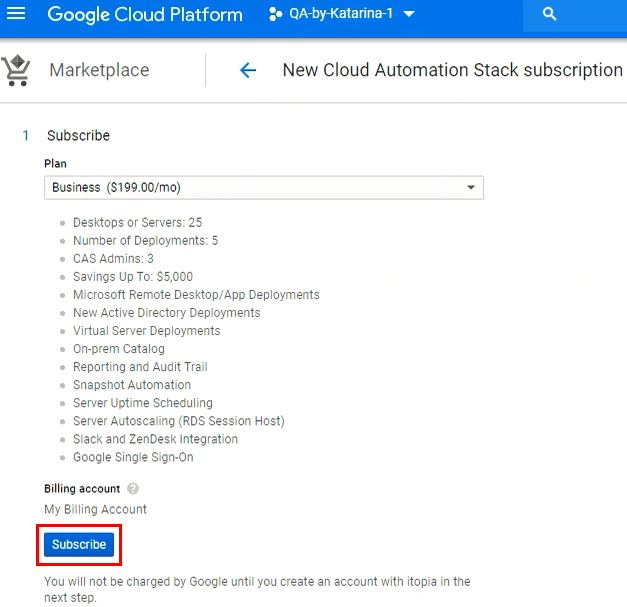 If you already have GCP account you will not see the top level pop-up message to sign up for a free trial. If you still can see the message to sign up for the trial account, follow this guide before continuing with the rest of this guide. Scroll down to select the itopia plan that best fits your company needs and hit the "SUBSCRIBE" button. You will be redirected to see the details of your selected plan, Click Subscribe again.